October 22nd: Lecture by Greg Tomkovich, 8:20 p.m.. Subject: Sacrifices! Admission fee: $5 for members, $6 for non-members. October 29th: Kenilworth Fall Swiss, round 1. November 5th: Kenilworth Fall Swiss, round 2. November 12th: Kenilworth Fall Swiss, round 3. November 19th: Kenilworth Fall Swiss, round 4. December 3rd: Garden State Chess League match: West Orange at Kenilworth, 8:20 p.m.
December 10th: To be announced. December 17th: Holiday Party!! & Business Meeting. December 24th: Closed (Christmas Eve). December 31st: Closed (New Year's Eve). The Kenilworth Chess Club's fun, friendly, yet highly competitive Summer Tournament starts on June 4th at 8:00 p.m. The 2015 Summer Tournament will run from June 4th through August 27th. All games are to be played at the Kenilworth Chess Club during normal operating hours. No game may start before 8 p.m. or later than 9:45 p.m. Registration closes on July 30th. However, if there is an overwhelming turnout, the TD may cut-off entries as early as July 2nd. Bob Sherry won last year, in 2013 and in 2012. Other past winners of this popular event include LM Scott Massey (2004), LM Mark Kernighan (2005, 2011), Greg Tomkovich (2006), Ari Minkov (2007, 2010), John Moldovan (2008) and Ian Mangion (2009). 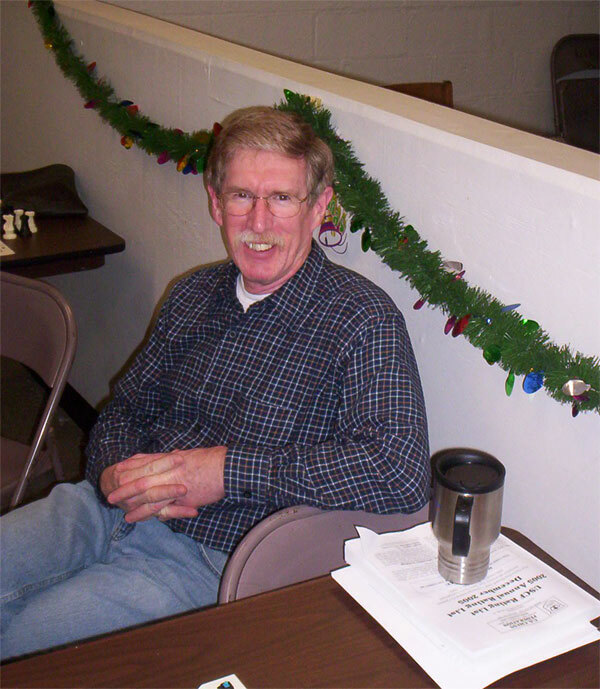 LM Mark Kernighan won the Win Within 45 Moves Or Draw Tournament held April 23-May 7. Bob Sherry, Greg Tomkovich and Bruce Mason tied for 2nd. From April 23 thru May 14, the Kenilworth Chess Club will be running a "Win Within 45 Moves Or Draw Tournament".